Welcome to the Central Oklahoma Corvair Association. 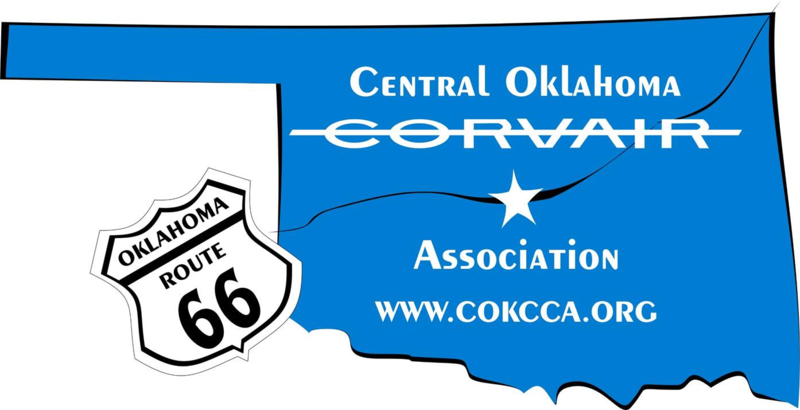 Welcome to the Central Oklahoma Corvair Association for Corvair enthusiast. The club is alive, active and doing well. New Members as well as visitors are always welcome. We would encourage you to consider a Corvair as you are looking for a hobby car; however, those of you who own other types of cars are welcome even if you do not have a Corvair (at this time). Our club meetings normally are the fourth Saturday of the month with the meeting starting time of 10:00 a.m. Please check the calendar on this website for location. Due to club activities the location may change. We also have a Facebook page Central Oklahoma Corvair Association or contact Dave Castiaux for additional information.